Monday, August 28, 2017 at 7:30 p.m.
Tickets are $29-44 and include Fair Gate Admission. Group discounts are available using the code "EVERGREEN". Online presale begins Monday, March 13 at 10 a.m. using promo code "FAIR". Presale tickets are available online only. for KING & COUNTRY tickets will be available to the public Friday, March 17 at 10 a.m. PST. 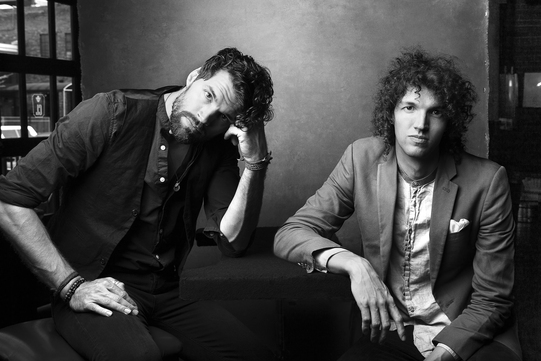 The Australian brothers of for KING & COUNTRY will take the stage to kick-off the 2017 Concert Series on Monday, August 28. Known for their soaring melodies, driving rhythms and theatrical instrumentation, their breathtaking Christian music continues to rise in the charts since their debut in 2012. The most popular songs from this duo include “Fix My Eyes”, “Light it Up”, and “Shoulders”.